The boys swim team is all smiles as they compete in the Glenbrook North Invite. Due to the ongoing construction in the school, the Conant boys swimming team is unable to practice in their own pool this season. 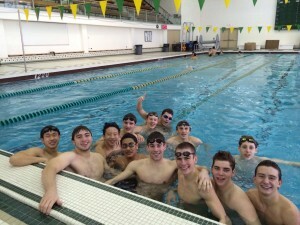 They will have to travel to Schaumburg High School every day to use their pool for practice. Aside from the travelling inconvenience, the players haven’t been bothered by this. “It’s basically the same design as the pool in Conant. So, it doesn’t feel too strange practicing in the Schaumburg pool. 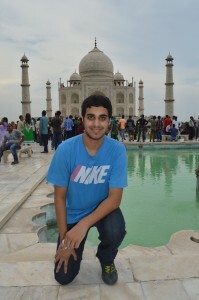 It’s just a matter of travelling back and forth to the school,” said senior Paul Delutio. Their ultimate goal is growing from a dream to a legitimate possibility as the season goes along. “Our expectations for this season are to swim fast and have a great attitude. If we continue to do that, we will be able to reach State this season, which would accomplish our goal,” explained Drenth.